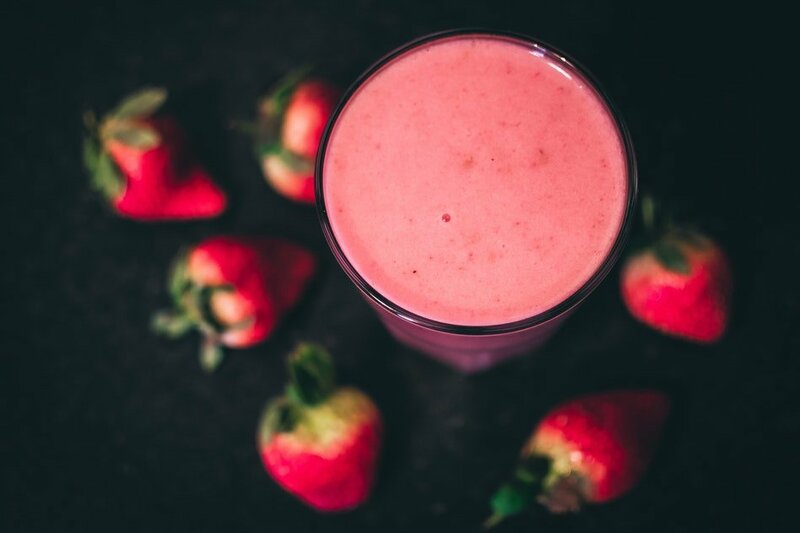 Whether you are an avid gym goer or you are just starting your journey to being healthier in your every day life, a blender for protein shakes needs to be in your kitchen. Having a good amount of protein every day is essential for building up those muscles when you are exercising and protecting your body from injury. A lot of people go for a protein supplement or even a powder which they mix with water to make a solution, but there is nothing healthier than making your own shakes. You can then add the protein with a whole range of fruits and vegetables and ice to create a healthy shake. However, with so many blenders on the market, it can be difficult to find the best blender for protein shakes. When looking for one, you need to consider the frequency, the power and the quality before shedding out dollars on a machine. You don’t want to look back and regret your decision when looking for the best blender for protein shakes with ice. That is why we have tested out some of the best on the market from NutriBullet to Hamilton Beach to find out which blender fits your criteria. NutriBullet is one of the top brands in the marketplace when it comes to nutritious shakes and smoothies. It’s the personal trainers and celebrities’ go-to option when it comes to blenders for their nutritious shakes. And this NBR-1201 12-Piece high-speed blender with its array of containers, high power system and easy-to-use functions is a top choice when it comes to the best blender for protein shakes. The machine easily pulverizes vegetables and fruits into a smooth and easily digested texture via its extractor blades with its sophisticated cyclonic action. No superfood is off bounds as it works even the harshest of ingredients into a delicious and highly nutritious shake. The blender boasts a 600-watt motor which helps to make a protein shake in a matter of seconds which is perfect for busy lifestyles. You won’t have to wait for ages before you can leave the house with your delicious shake. As it’s a 12-piece set, you get plenty of accessories with the machine which makes it a great choice. With one tall cup and two small cups, these can be resealed and have spill proof lids included to make it easy when you are on the move which is a priority when looking for the best blender for protein shakes. A manual with recipes also helps you to create new protein shake ideas. 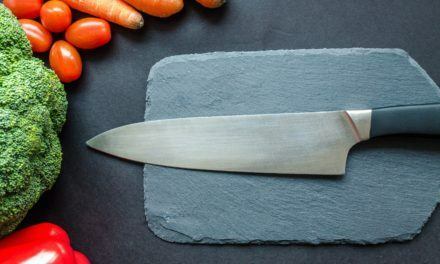 And if you are looking for something that is easy to clean, you will find this a useful model as the blade easily twists off to be rinsed in the sink and its dishwasher friendly too. It’s portable so it’s convenient for an ‘on-the-go’ lifestyle. The machine has a powerful 600-watt motor which means smooth and delicious shakes within seconds. Perfect for busy people. Catering for different needs, the NBR-1201 comes with an array of different containers including one tall and two small cups with lids that can be resealed which are perfect for when you are on-the-go. Overall, if you are looking for the best blender for protein shakes with ice, this model from NutriBullet is one that stands out. 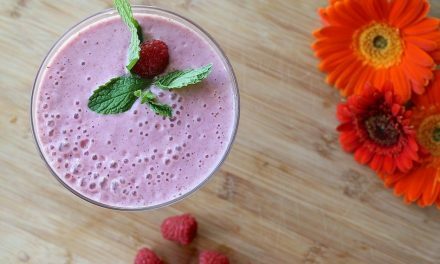 The power is pretty impressive on this model and you will be surprised how quickly you can make a delicious shake for the gym. No need to spend ages pulsing and blending to make up a perfect shake. The whole set is aesthetically pleasing and will give a modern feel to your kitchen. This NutriBullet blender is definitely a reliable model from a trusted brand and is one blender which you know will likely stand the test of time. All in all, this blender is a good choice for gym-goers who want to add more protein in their life and want a machine they can use on a daily basis. When it comes to finding the best blender for protein shakes, this personal blender from the brand Hamilton Beach needs to be on your radar. For one thing, this blender has multi purpose functions with the blending jar going from blending your protein shake to being a portable travel cup with drinking lid so you can consume your shake while on the move. Not only does this save on washing up but it is a convenient option when you are out and about as you don’t need to move the liquid to another container. When it comes to power, the personal blender has an effective 175-watt motor which can easily whizz up a smooth protein shake for you in a few seconds with its stainless steel blades which cuts through any fruit and vegetable without hesitation. It’s also super easy to use with one simple button which has a pulse operation that will provide you with a delicious protein shake without much hard work. And if you are looking for the best blender for protein shakes with ice, this blender from Hamilton Beach has the measuring lines on the front so that you can make just the right amount for you to take to the gym with you. No need to spend ages working out if you have the correct amount of ingredients to make the shake. You can also easily clean the small blender due to the compact size and it’s fine to put in the dishwasher for a thorough clean. Small but effective motor which will get you smooth shakes within a few minutes. All in all, if you are looking for the best blender for protein shakes that won’t take up much space and is easy-to-use, this personal blender from Hamilton Beach is the one for you. With it’s small compact size, you won’t need to worry about this model taking up space in your kitchen. The most useful thing about this blender is the fact you can take it everywhere with you. Doubling up as a travel cup, the blender will fit in your car or next to you at the gym without any need to leave it sitting at home. It’s perfect if you are just using it as an individual. Overall, this is the perfect choice for someone looking for convenience and a quick option for making a delicious protein shake. This smoothie blender from Chulux is another top option if you are looking for the best blender for protein shakes. It might be small in size, but it’s certainly not slow when it comes to power. The smoothie blender has a 300W copper motor with 26,000 RPM which will ensure you make a delicious and smooth shake to keep you healthy while working out. The four blades in the machine pulverizes the ingredients quickly, whether it’s frozen or fresh fruit and vegetables. Another benefit of the machine is that it boasts a simple one-touch operation which is so easy to use. You just press the one button to pulse the ingredients until you reach the required consistency of the liquid. One of the most handy things about this device is that you blend and drink from the same machine which will not only help to reduce mess but it will save you having to find another container. The machine comes with two portable bottles, a 14 and 20 oz and carry hook lids which will keep the protein shake safe and easily to manage when you are on the go. 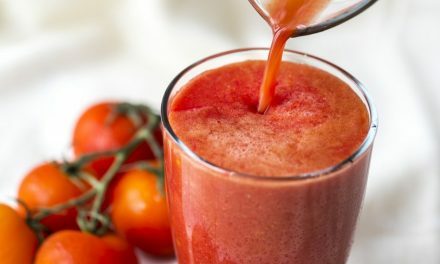 Another thing which makes this blender a top choice when it comes to the best blender for protein shakes with ice is that it’s so easy to clean. It can be placed straight in the dishwasher after use. Two travel bottles in a 14 and a 20 oz size which both come with carry hook lids. While its small in statue, the blender is a powerful machine with a 300w motor which works at 26,000 RPM easily tackling frozen fruit and vegetables. 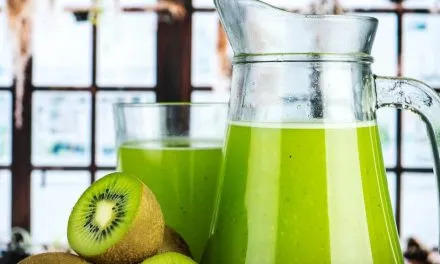 If you are looking for a blender which will easily make a shake without too much hassle, then this might be the best blender for protein shakes with ice. The one-button operation makes it simple to use and easy to create a smooth liquid. Meanwhile, the compact size means you won’t use much space on the device and it’s easily portable so that you can take it with you when you are away from the home. The two bottle sizes with their lids provide you with an easily transportable model that you can take to the gym or on the school run. All in all, this is a convenient and handy model which is perfect for the busy gym goer. From the reliable manufacturer, Nutri Ninja comes this wonderful blender which is an ideal choice if you are looking for the best blender for protein shakes. Not only is it one of the most powerful on the market, it’s also one of the smartest choices around. This blender comes with the benefit of the latest ‘FreshVac’ technology which helps you to have the freshest drink possible as it preserves all the vitamins and nutrients as it blends the fruit and vegetables. It claims to do this by uniquely removing the oxygen before it blends which leaves you a drink which is full of nutrients and flavours. This blender is also a good choice as it has the latest ‘Auto-iQ’ technology which helps you to create the perfect smoothie as it has two programs which do all the necessary pulsing and blending to ensure you have the smoothest drink possible. The Nutri Ninja with Auto-iQ makes drink making easy. Auto-iQ Technology features smart programs that combine timed pulsing, blending and pausing that do the work for you. Another benefit of the system is that it has a digital countdown timer. This allows you can see exactly how long is left before the drink will be ready. This Nutri Ninja blender is a powerful machine with an 1100 watt motor meaning you can have a protein shake ready in only a few seconds. One highlight of the device is that it comes with two 24oz cups which both benefit from spout lids. These are convenient for when you are out and about and are comfortable to use. In a dark grey, it’s also an attractive model for your kitchen. The blender has the latest technology with Auto-iQ and FreshVac which help to create a perfectly smooth and delicious protein shakes that you can enjoy after your workout to build and protect those muscles. All in all, this blender from Nutri Ninja is a powerful machine which will create a protein shake easily and within a short amount of time. This blender is at the top of its game. Boasting unique Fresh Vac technology it blends the drink to ensure you retain as many nutrients as possible. With programs that do the work for you by combining the blending and pulsing functions, this blender really is one of the smartest on the market. If you are looking for the best blender for protein shakes with ice, this machine is one that should not be ignored for its power, ease of use and latest technology. The CPB-300 from Cuisinart is a powerful piece of equipment which will whizz up a protein shake for you in no time. One of the benefits of this system compared to the others on our list is that it includes a wide accessory range at 15-pieces. Brilliant for an active family or a busy gym goer, the machine comes with a set of four 16-ounce ‘To-Go’ cups meaning you will always have a spare cup that you can use when you need to go out. This blender system has a 350-watt motor which works quickly to blend those fruit and vegetables to create a smooth drink. It also boasts ABS housing and has a sleek stainless steel front panel which will look great in any kitchen. The controls for the machine allow you to have full control with high, low and pulse controls on the electronic touchpad which guides the blade to work on creating a delicious and healthy drink just the way you like it. LED indicator lights help to ensure you know when the machine is working. The blender has been built with safety in mind with a safety interlock setting and an auto stop function. With the extra benefit of a 32-ounce blender cup and an 8-ounce chopper cup which will grind up the ingredients quickly, it has everything you need when looking for the best blender for protein shakes. And everything is dishwasher friendly so that you can easily clean the cups after use. Easy-to-use electronic touchpad with controls that include high, low and pulse settings which will give you ultimate control when using the machine. All in all, this machine from Cuisinart is a great choice if you are looking for a system which allows you to have control of your blending and you want a wide array of accessories included with the blender. The design of the blender is aesthetically pleasing and will make for a beautiful choice in any kitchen. When you are looking for the best blender for protein shakes, this model offers you convenience, power and style all in one machine. Overall, this model should be on your short list. When looking for the best blender for protein shakes, you will find there are plenty of choices on the market. We have discussed our favorites here that are all are good options for creating protein shakes. There are certain benefits to each model which needs to be considered when deciding which blender to choose to have in your home. If power is one thing which tops your priorities then you need to look no further than the Nutri Ninja Blender. Not only does it boast 1100 watts from its motor, but it also uses the latest technology to ensure you have the healthiest drink possible in the shortest amount of time. However, smaller models such as the Hamilton Beach Personal blender should not be ruled out. While it might have a small motor, it’s a convenient machine as it doubles up as both the blender and the bottle so it’s a great option if you want something you can take while on the go. The same applies to the Chulux smoothie blender which is small in stature, but is a convenient model for your protein shakes. Therefore, if you are looking for a small portable option, both of these options will work for you. If reliability is something that is most important to you when it comes to choosing a machine for creating the best protein shakes. One of the most popular on the market, the NutriBullet NBR-1201 offers a reliable choice that will blend a great shake quickly and efficiently. It comes with an array of containers so that you have everything you need for when you are on the move. With this in mind, the Cuisinart CPB-300 also delivers in this respect with a huge 15-piece set which gives you more for your buck.